Very different in character to the rest of the country, the lushly vegetated and densely populated central highlands that stretch northward from Nairobi are capped by the hemisphere-straddling Mount Kenya and its permanent equatorial glaciers. Rising to 5,199m, Mount Kenya is the second-tallest in Africa, topped only by Kilimanjaro, and it is linked to the more westerly 3,999m Aberdare Range by an elevated grassy saddle. Oddly, these two massifs represent extremes of geological antiquity. Where the contorted folds of the Aberdares rank among the most ancient in East Africa, dating to before the Age of Dinosaurs, Mount Kenya is an extinct volcano that erupted into existence several million years after our earliest bipedal ancestors first strode across the Rift Valley floor. 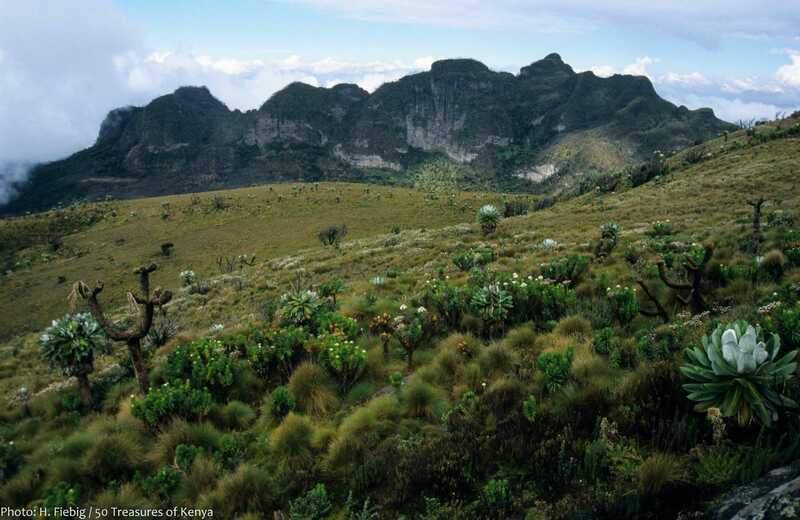 Mount Kenya and the Aberdares are both protected within a national park. They also share many ecological affinities, and collectively support most of the country’s surviving Afro-montane forest and Afro-alpine moorland, the latter an otherworldly landscape of open moorland studded with bizarre giant forms of heather, lobelia and groundsel. The two mountains host an outstandingly varied fauna, including all the Big Five alongside more localised forest specialists such as Sykes monkey, black‑and‑white colobus, Harvey’s red duiker, mountain antelope and giant forest hog. Though not as popular as Kilimanjaro, the multi-day hike to Point Lenana - at 4,985m, the highest point on Mount Kenya accessible without specialist climbing equipment - leads through a similar spectrum of attitudinally-determined Afromontane vegetation zones. And while it may appeal less to peak-baggers, Mount Kenya has the advantages of being less crowded, less expensive, and less likely to be treated as a single-minded exercise in summiting. 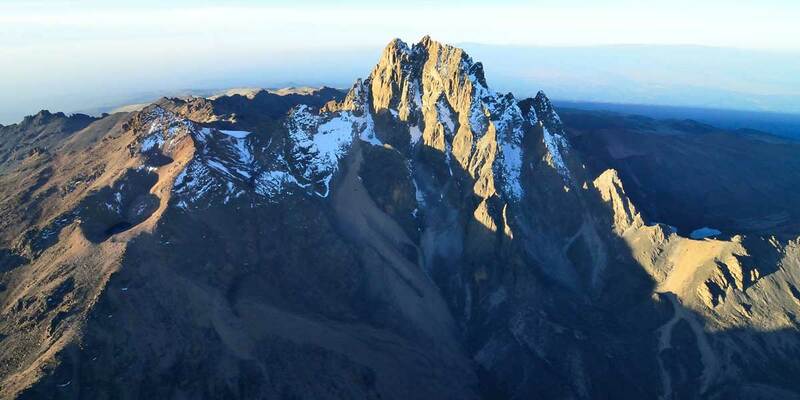 The highest two points on Mount Kenya at 5,199m and 5,188m respectively, Batian and Nelion Peaks are highly alluring to experienced climbers with specialist equipment. Aberdare National Park is best known as the site of the tree hotels Treetops and The Ark, stilted timber monoliths which double as overnight hides overlooking forest-fringed water holes that attract a steady stream of wildlife, including elephant and black rhino. Historic Treetops gained overnight fame in 1952 when it hosted the young Princess Elizabeth on the very night that her father King George VI died, and she became the uncrowned Queen of the United Kingdom. Conceptually similar to the tree hotels of the Aberdares, Serena Mountain Lodge, the only hotel set in Mount Kenya’s forest zone, provides an excellent introduction to highland fauna. It overlooks a waterhole that occasionally attracts all the Big Five, as well as forest specialists such as giant forest hog, bushpig, Sykes monkey, black-and-white colobus monkeys, silvery-cheeked hornbill and Hartlaub’s turaco. Game drives in Aberdare National Park follow little-used network of rough 4x4-only roads from the forest zone into an Afro-montane moorland punctuate with lovely waterfalls. Wildlife includes black rhino, elephant, buffalo, giant forest hog and various monkeys. The Aberdares is one of the few places in Africa where melanistic (all black) leopards are regular. The forests support one of only two remaining wild populations of the mountain bongo Tragelaphus eurycerus isaaci - a beautifully marked and Critically Endangered large forest antelope that is now effectively endemic to Kenya having become extinct elsewhere in its range. 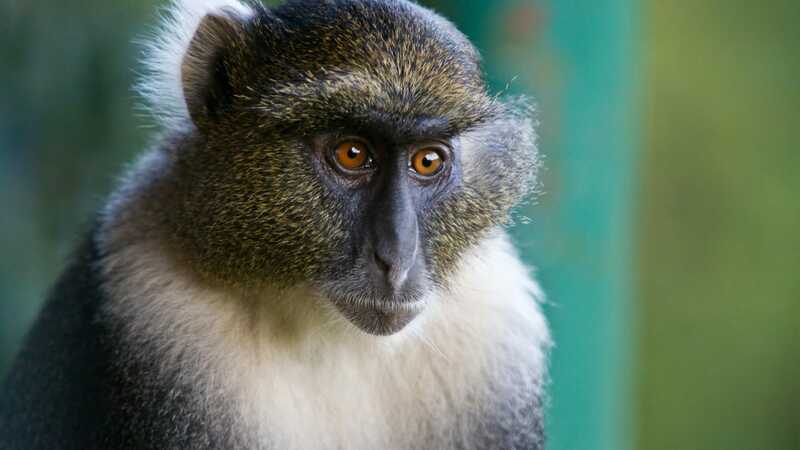 Kenya’s highest town, Nyahururu is perched at 2,360m on the edge of the Laikipia Plateau alongside the attractive Thomson’s Falls, which plummet 75m over a volcanic ledge into a forested gorge inhabited by black‑and‑white colobus monkeys and a varied selection of birds. The private Mount Kenya Wildlife Conservancy is a wildlife orphanage that operates several important conservation projects, none more so than rehabilitation of a herd of captive-born mountain bongos for release into the forests of Mount Kenya, where it was last seen in the wild in 1994. 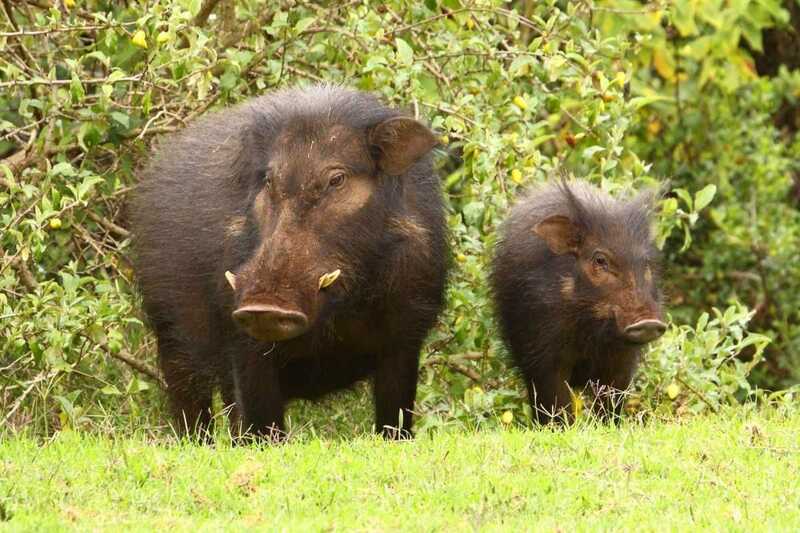 Founded in 1970 as a breeding centre for rhinos, Solio Game Ranch is a private conservancy situated on the grassy highland saddle that links Mount Kenya to the Aberdares. Starting with a combined introduced population of 39, it now hosts at least 50 black and 85 white rhino. In addition, more than 100 individuals born at Solio have been translocated to other locations in Kenya. All the sites listed above can be reached in up to four hours from Nairobi along a good surfaced roads through Thika. Regular domestic charter flights connect Nairobi and the Masai Mara to Nanyuki Airport, from where it is a short drive to most sites of interest in the vicinity of Mount Kenya and the Aberdares. Hikes on Mount Kenya are best arranged with specialist operators who know the mountain well and employs experienced guides and porters. The shortest option for a a round hike is three days, but it is advisable to spend at least three nights on the mountain before ascending Lenana to minimise the effects of altitude. Any of the region’s three tree hotels - Treetops, The Ark or Serena Mountain Lodge - makes for a great overnight stop on road safaris between the Masai Mara or Rift Valley and Laikipia, Samburu-Buffalo Springs, Shaba or Meru. In addition to these upmarket lodges, medium-large highland towns such as Nyeri, Nanyuki, Nyahururu, Meru and Embu all have a few adequate restaurants and hotels. They also offer the opportunity to draw money or do some last-minute grocery shopping before heading out on safari.